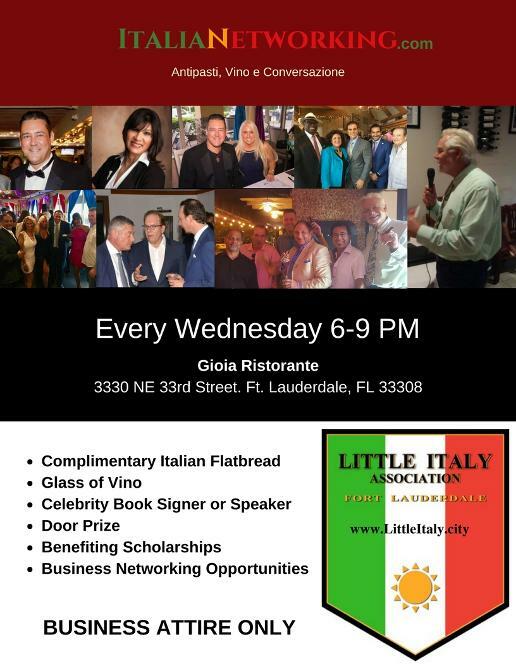 We meet every Wednesday Night at Gioia Ristorante in the Little Italy area of Fort Lauderdale. 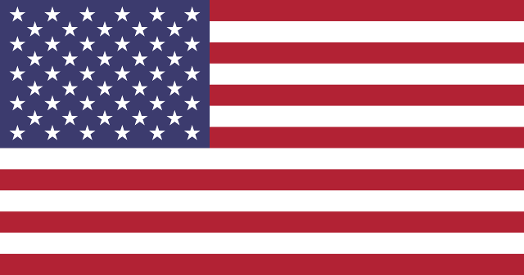 The business & social networking events include upscale Italians, Italian-Americans, people who speak Italian or lived there and the spouses of Italians. Our events are upscale and classy yet casual in nature. Show up, have a few glasses of wine (one COMPLIMENTARY LADIES!!!) enjoy some flatbread and mingle with some of the friendliest people in South Florida. 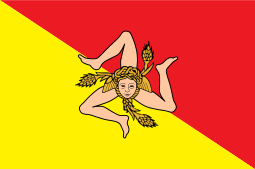 Our events are held in English yet many members do speak Italian and it is ok and even encouraged to carry on conversation in the toungue of the motherland.